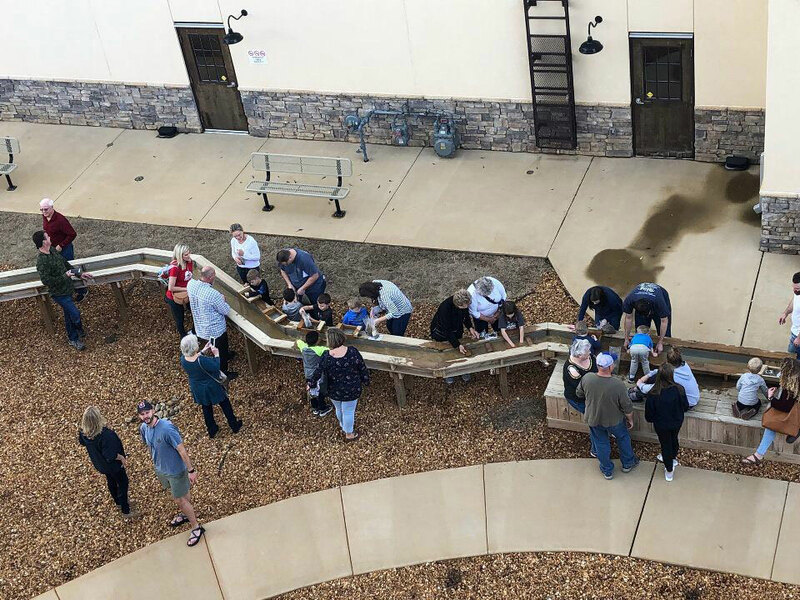 All the action takes place at the flume outside Miner’s Mountain. 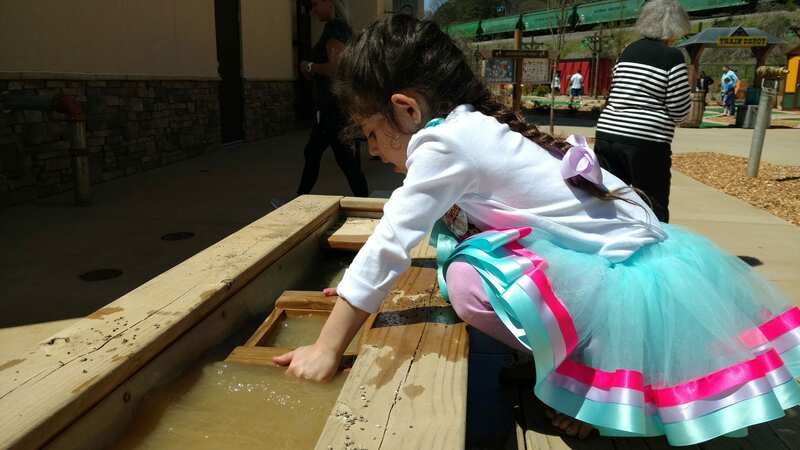 Fun for the whole family; enjoy the exciting atmosphere of discovery as you find colorful, beautiful, and valuable gemstones! Just place a scoop of rough material on the sifter… then rinse with clean water. Magically gemstones appear! The beautiful wet gemstones sparkle in the sun, revealing all kinds of beautiful colors and crystal shapes. Refer to the Gemstone Chart to identify your gemstone findings! There are lots of different gemstones to discover! Have fun comparing your finds with friends and family and help each other to identify what you’ve found. 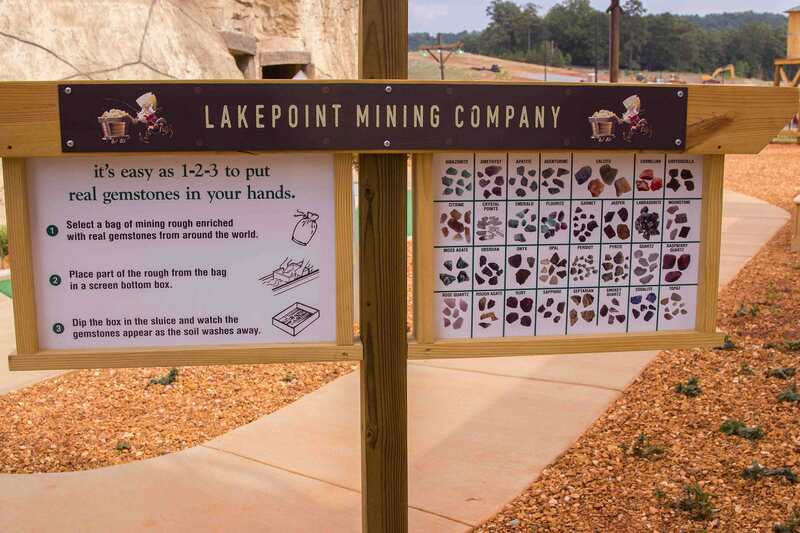 Fellow miners have found local fossils, minerals, and gems of all kinds including Ochre, Barite, Iron, Manganese, and other minerals mined in this county, as well as exotic imported gems from FIVE continents, including REAL Emeralds! Select from six different bags with guaranteed gems and/or fossils. No one leaves without a treasure! LakePoint Station is a great place for your next party, group, or corporate event! 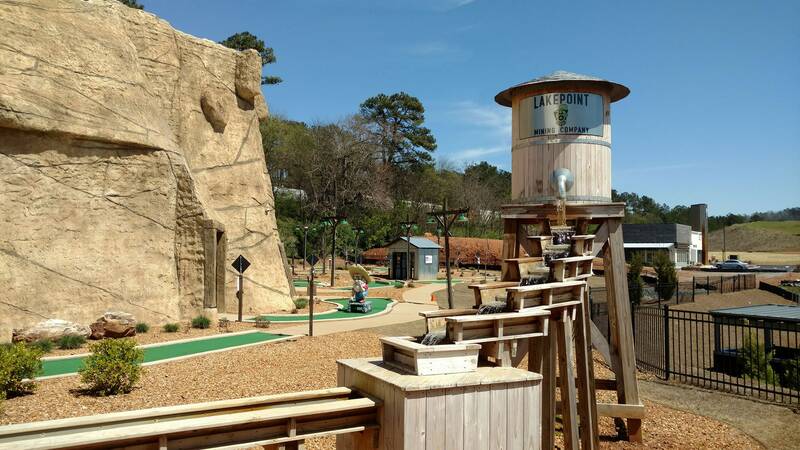 More than just a family fun center, it is a full-service experience that’s loaded with fun and value for everyone –including awesome attractions, modern game play, delicious food and beverages and cool desserts. Check out our all-inclusive party or group packages!